You are here: Home / Live / family home evening kit :: how does the lds church choose a new prophet? 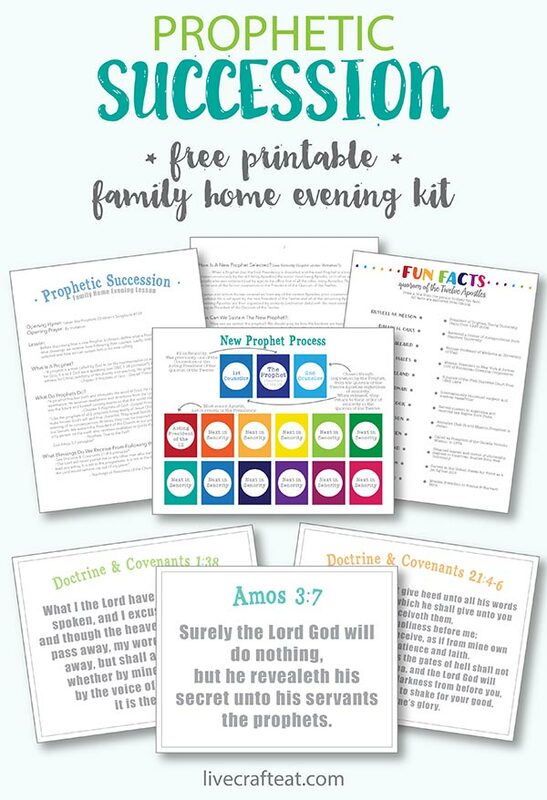 family home evening kit :: how does the lds church choose a new prophet? when i was a kid, i remember going to our stake center for the funeral of president howard w. hunter, who was then the president (aka prophet) of the church of jesus christ of latter-day saints. we watched via satellite so i wasn’t physically there, but i could sense that this was a profound moment for the church. i’d grown up learning about prophets and what an important part they play in our church. i was a curious child, so i know i peppered my parents with questions about who the new prophet would be. how does the lds church pick a new prophet? who is next in line to become the prophet? do we vote for someone? could my dad be the new prophet?! 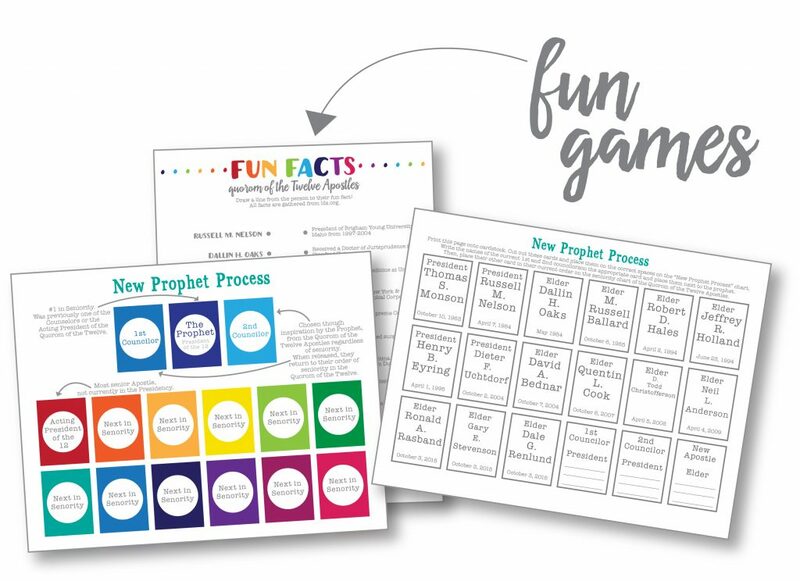 i’m sure my kids will be asking my husband and i the same questions at some point in their life so we’ve put together this family home evening kit to teach them about prophetic succession and how the next prophet is chosen every time one is needed. it’s a FREE PRINTABLE, so keep reading to see how it works and then download your free copy at the bottom of this post. i like to keep all our family home evening kits in file folders and then store them in a plastic box. we keep game pieces, pencils, colored pencils, the primary songbook, etc. all together in the same box so it’s easy to pull it out, pick a topic, and have everything ready for monday night. you can see how i put together our family home evening kits here (there is another free printable fhe kit available at that link!). an outline: this gives you the whole run down of the family home evening. it includes an opening and closing hymn, the lesson, scriptures, ideas for videos you could watch online to round it all out, and then activity ideas as well. 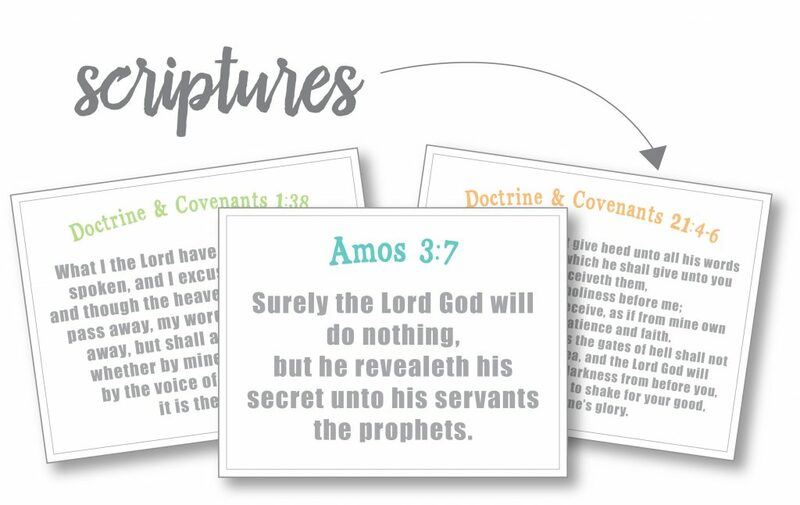 2. printable scriptures: these help teach the lesson and give younger kids something to hold up for everyone to see, but they are also great for displaying on your fridge or anywhere in your home where they can be seen often. it’s nice to have something to help you refer to your lesson during the week. and that’s all there is to it! 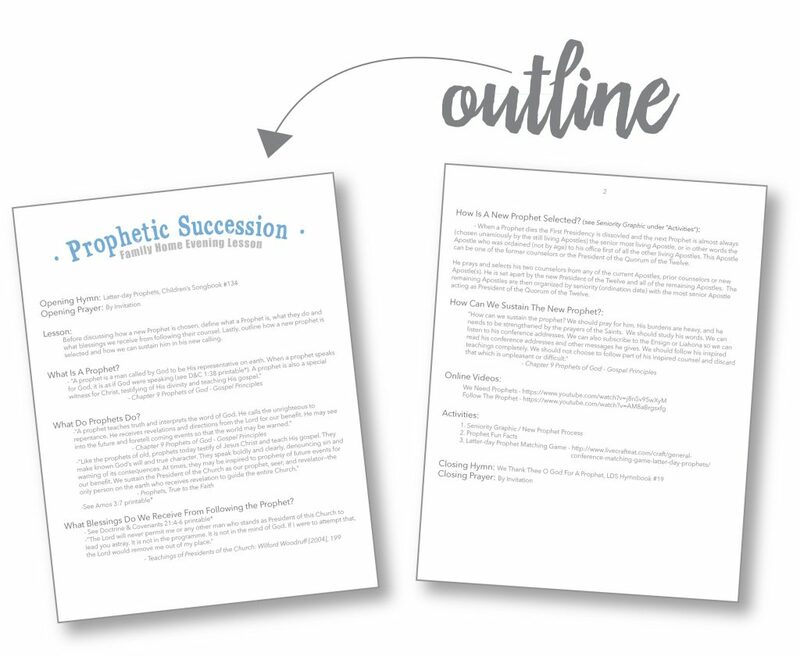 all you have to do is download the pdf file here: prophetic succession free printable lds family home evening kit. family home evening this week just got a whole lot easier! Thank you! Exactly what I needed to teach my small children about the passing of President Monson and what happens next. Glad it helped. 🙂 What a great man and Prophet! I am using this tomorrow for FHE, I’m so grateful that you put this together and that I foun it. Thank you! Did a quick search last night for something to use for family home evening- and of course, the cutest, best things always pop up from your site! Thank you for sharing your talents, Katie! It has blessed my family so many times! So nice. 🙂 Thanks, Tiffany!